Providing primal cuts of beef according to AUS-Meat Standards and EU Certification Standards including custom beef cuts, Halal beef and grass fed beef. 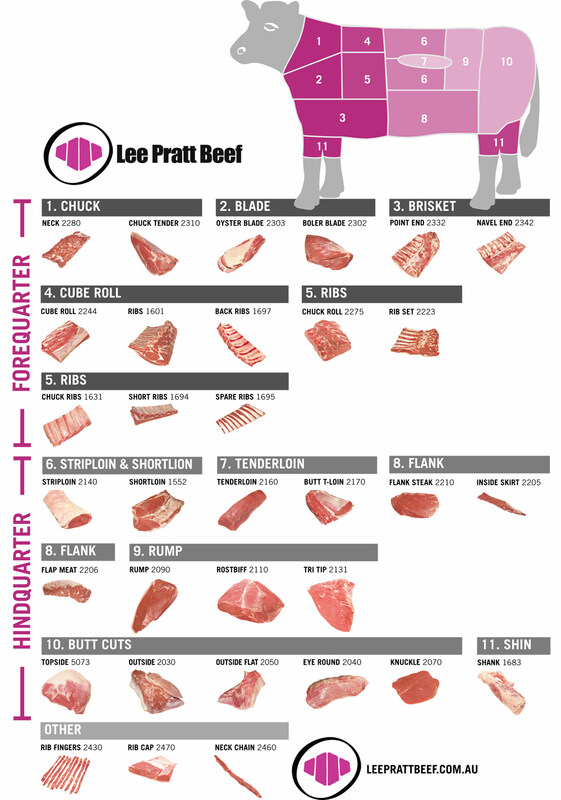 Lee Pratt Beef supplies all cuts of beef – according to AUS-Meat Standards. Lee Pratt Beef is Halal certified. Est. 239 is EU accredited and maintains BRC Certification. We can also customise beef cuts and products to suit customers’ specific requirements. Please contact Lee Pratt Beef to discuss your needs. Our meat processor, Northern Cooperative Meat Company (NCMC) Est. 239, is a farmer owned, HACCP-certified industry leader.